My college buddy, Jim, is gearing up for his 50th birthday pig pickin' which will be later today. He is going "whole hog" on the barbecue and the pigs were dressed and ready to be fired up early this morning at 2:30 a.m. Whew! That's an early wake up call, but it takes a long time to do a whole pig. 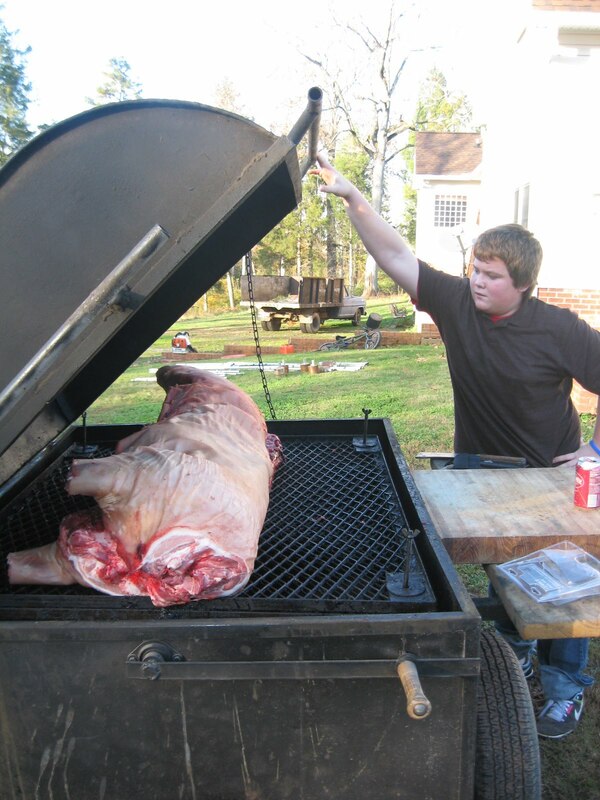 I generally do shoulders or Boston butts, becuase whole pigs are heavy and hard to handle. Also, you need a really big smoker to do a full pig. Whole pigs do look impressive though, and you have that nice ratio of dark and lean as well as plenty of outside brown. 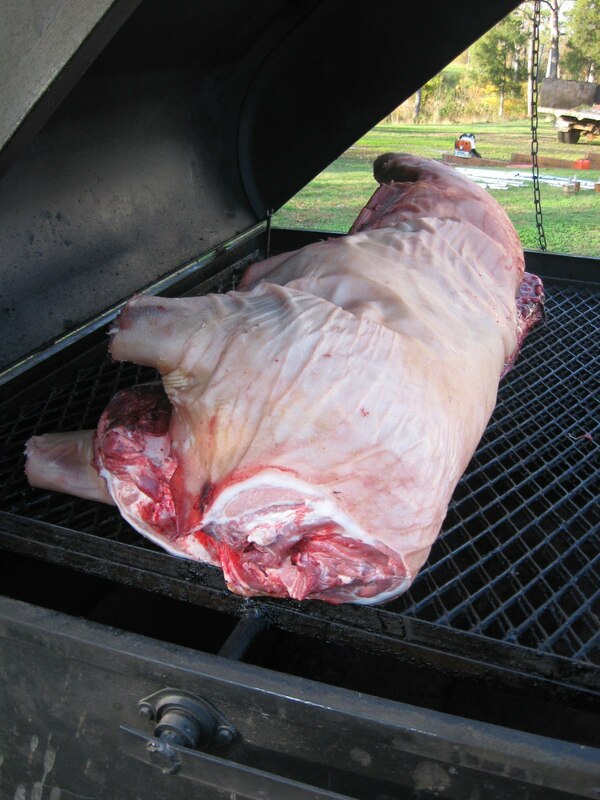 So, whole pigs make some mighty fine barbecue. 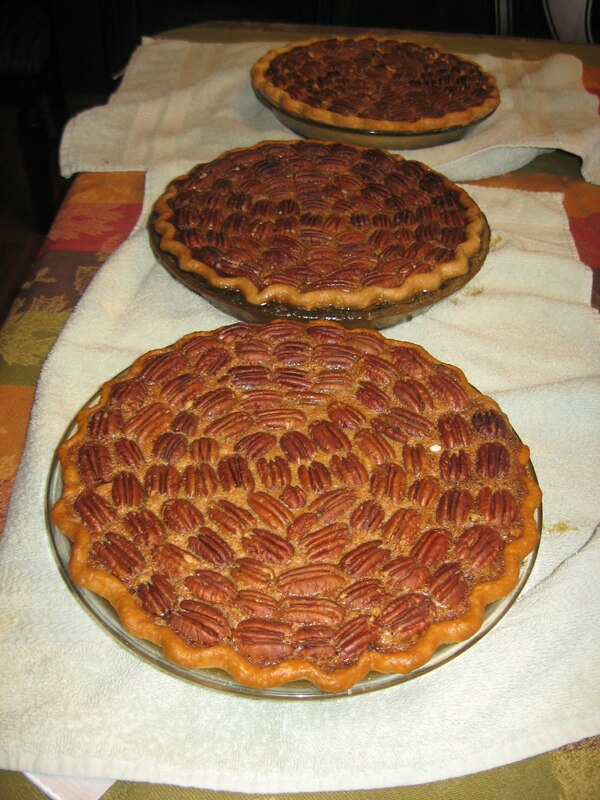 In addition to all the traditional sides for barbecue (slaw, potato salad, beans), I know we'll be eating some southern pecan pies. Jim talked his sister into baking those up yesterday, and they look fabulous as you can see. I've never had pecan pie at a pig pickin', but it's hard to beat pecan pie for a dessert. Thumbs up!